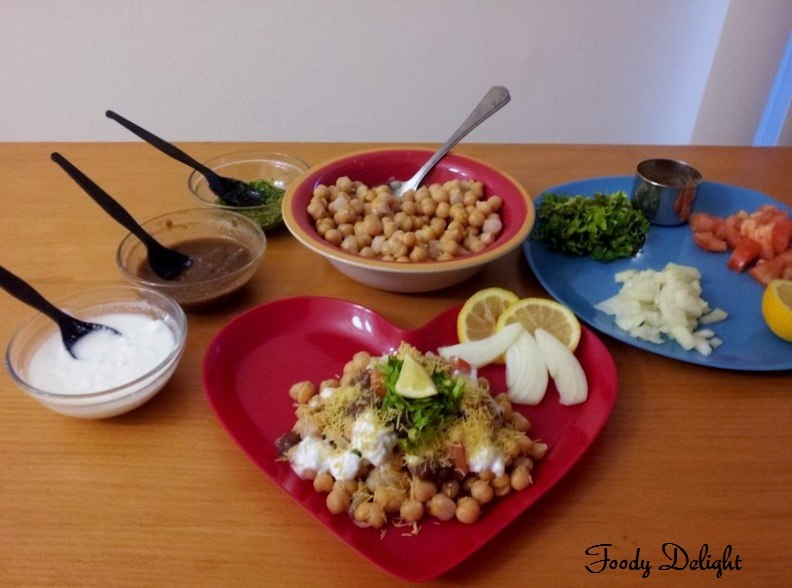 Soak the chickpeas overnight or for about 5 to 6 hours. 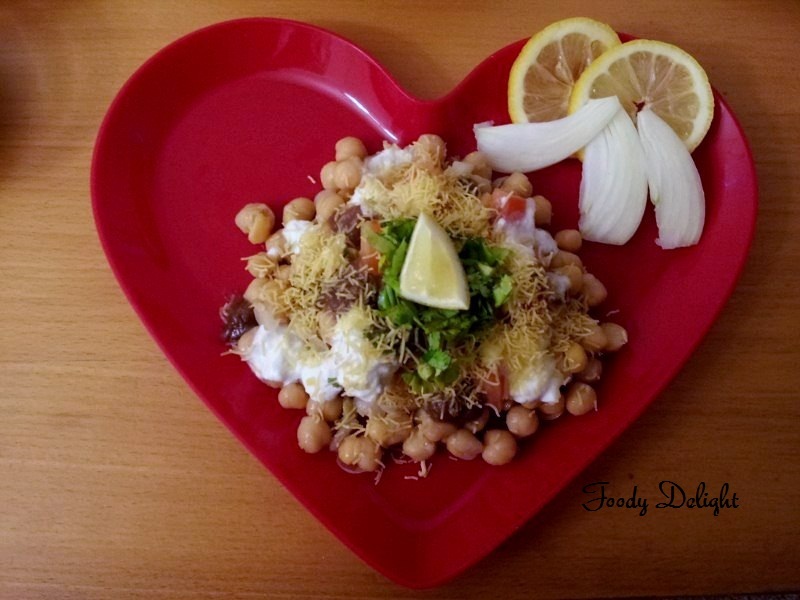 Boiled the chickpeas in pressure cooker by adding water and salt. Grind green chutney and sweet chutney. Beat the thick yogurt till you get smooth texture of it. 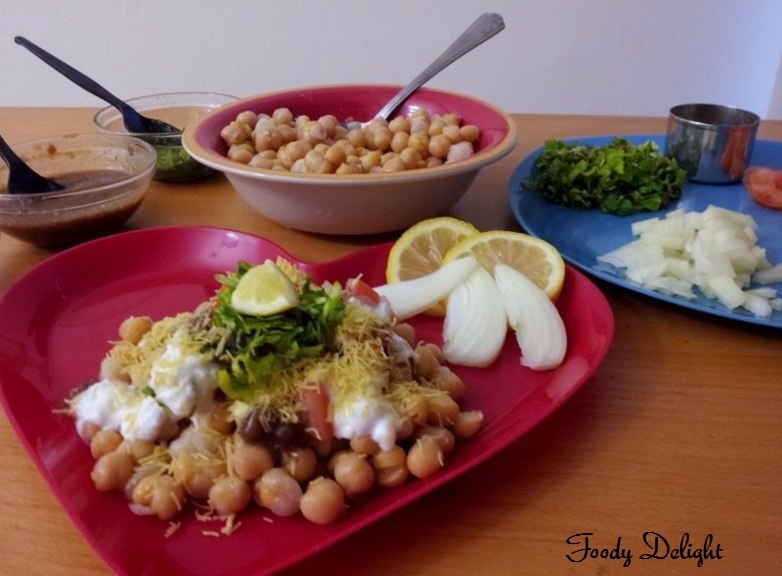 Take a plate and add boiled chickpeas. Lastly Sprinkle chaat masala powder. Mix all the ingredients and enjoy. 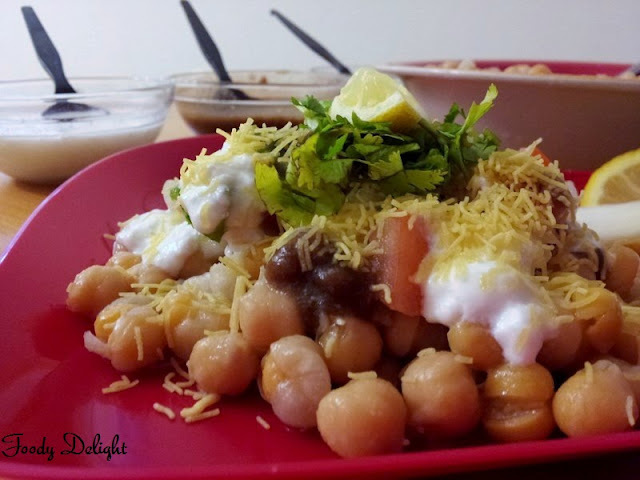 love channa chaat n yours looks so perfect n tempting...loved your delicious presentation!! 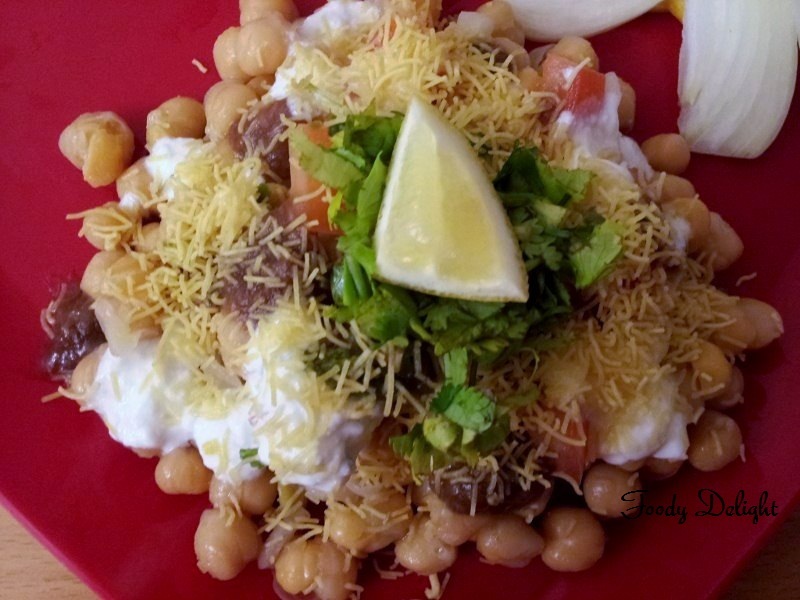 Vey inviting and a healthy Chaat Dear. Yumm!